Founded in 1982, Voltaj proved to have a personality too strong for the communist regime of that time and some people even considered the band to be a "danger" for the society.The first song,"Nori de hartie"(Paper Clouds) made the top of the list for the band's first concert,which was held at "Mihai Eminescu" Cultural House in Bucharest.The following appearances on stage would be marked by hits like "Aceasta-i intrebarea"(This is the question) and performances of some of AC/DC hits.The initial structure of the ban (Horatiu Rad - bass, Nikki Dinescu - drums, Gabi Nacu - guitar, Cristi Minculescu - vocalist,curresntly the vocalist in Iris,another successful Romanian rock band, Adrian Ilie - guitar) did not last and in October,1986 the band had a fresh start with Cristi Ilie as vocalist, Amadeo Bolohoi as guitarist, Dan Mateescu-bass, Doru Istudor M.S. - drums and the same Adrian Ilie-guitar, the only one left from the first make-up of the band.The band seemed to have a bumpy road, so the year of 1988 brings new changes: Gabi Constantin-guitar, Valeriu Ionescu-bass,Cristi Ilie-vocalist,Doru Istudor M.S.-drums and Cristi Luca-guitar. The first discographic release comes rather late, in 1995, 13 years after the band's make-up. 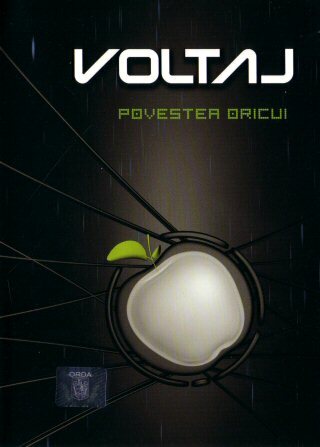 "Paper Clouds" and "Lumina"(The Light) are two of the songs that made it on the "Unplugged Romania" compilation (with Tavi Colen as vocalist).The first Voltaj Album came out a year late , in December , and it was calle "Pericol de moarte"(Danger of Death) and Adrian Sarbu replaced Cristi Luca. The album was released by Roton music label.The album was actually a collection of the band's hits (The Light,Paper CLouds,Cenusa si diamant-Ash and Diamond,Ochii tai-Your Eyes) and it ecountered a lot of success among the fans and music specialists.The album release was unexpected and non-conformistic and soon after the boys went to a promotion tour in all major cities in the country. In 1998 takes place a major change inside the band: a new vocalist - Calin Goia and a new drummer - Paul Neacsu were introduced.The guitar and bass players remained the same.Unlike the previous transformations within the band composition,for the first time in the band's history,a significant change in the music style and image was also be felt.The first single release in this new formula was Queen's "We Will Rock You"
On the 12th of February 1999 the "That's How Life Is" maxi-single was released and it soon became one of the first big hits of Voltaj.The media would refer to "That's How Life Is" as the best Romanian song released at the beginning of that year.The natural thing happened-an intensive promotion program: concerts all over the country and a series of TV appearances. The band starts working on a new album and a change of look was also in the guys' mind. 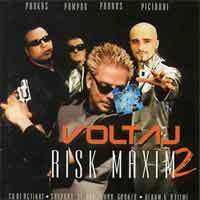 The following album,"Risk Maxim 2" was released on the 11th of July 1999 and included 12 explosive tracks with hits as: "Asta-i Viata",The Army'99 (a remake of one of the band's first songs), the new single The German Lesson,The light(another one of the old songs,this time in an Eclipse version). The band's third album, "Bungee",came out in 2000 and its "piece of resistance" was the hit "Albinutza(The Bee)" that reached Romanian Top Five. "Zodia C" and "Un pas in fata" (One step forward) were also very mcuh enjoyed by the Romanian public.As a premiere for the Romanian music market, "Bungee" was a multimedia album, containing the video "Albinutza", a photo gallery of the guys as well as some interesting music links and a free access card to the Interbet. In December 2000 the single "Iarna"(Winter) was released and by the month of February 2001, the video was already playing on all Romanian music Tv channels and it was thought to be a total smashing hit. In June 2001, the band changed the record label and they released "3D" under Cat Music/Media Services label.Two remarkable events that happened that year revolutionized the band's history: the switch of the record labels, since the boys left Rotoc for Cat Music, and the inspired change of sound provided by the same Bobby Stoica the keyboard player in the band. 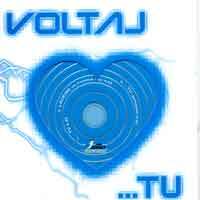 In 2002, Voltaj undergoes a final transfromation, which is caused by the drummer - Paul Neacsu decides to move to U.S.,Oliver Sterian,former drummer of another Romanian pop rock band , Bere Gratis , would take his place. 2002 would have to be the year of "20" which met the greatest of succes and whose video was filmed on the Costinesti Beach(known to be the favorite beach to the Black Sea for hippy and carefree teenagers) recording a maximum audience of 15.000 people present on set. The impact of this hit generated a huge tour in 26 cities all over the country. "424" was being a very productive album which had the benefit of 4 singles, one of them being "Noapte Buna"(Good Night) that offered an interactiv karaoke video on the CD. 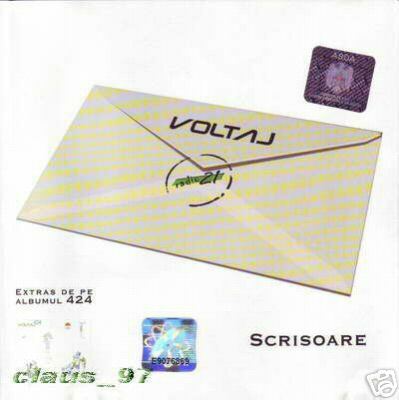 In December 2003, Voltaj celebrated its 5 years of existence having the same members by releasing a "Best of" album and the record label offers the band the Platinum Disc for th big sales of "424". 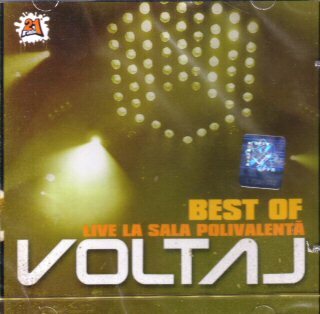 Voltaj' most recent album is called Anybody's Tale and it was promoted by a noteworthy live show,which took place in October 2004. The show was impressive and rather unique because there were used a huge video protector, spectacular pyrotechnical effects and the boys invited some special guests on stage. 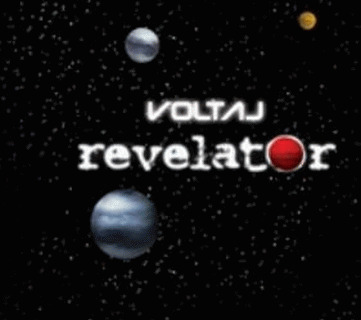 The show was to be on everybody's lips for weeks and the band's outstanding performance made the subject of Voltaj first DVD release. There have been released 4 videos so far from the album Myself and I,So what,Anyone's Tale and the video filmed most recently Patapetine.It would be interesting to metion the fac that the feminine character in this video was played by Elena Basescu who is no other but the Romanian President's daughter. During their 7 year of musical career, from their change in musical approach, in look and structure, Voltaj undoubtedly won their place in Romanian Music and in the hearts of their fans.They received twice the MTV Award for Best Grup,the Romanian Musical Industry Awards for: Best Group,Best Single and Best Album.The international recognition of the band's success came along with MTV Europe Music Awards, held in Lisbon,Portugal,where Voltaj received the MTV Award for Best Romanian Grup!